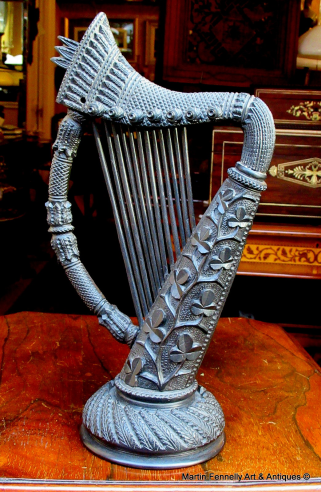 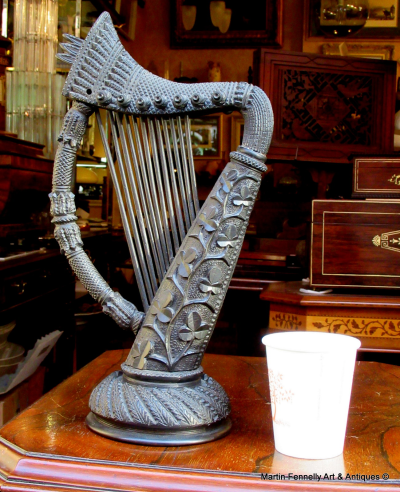 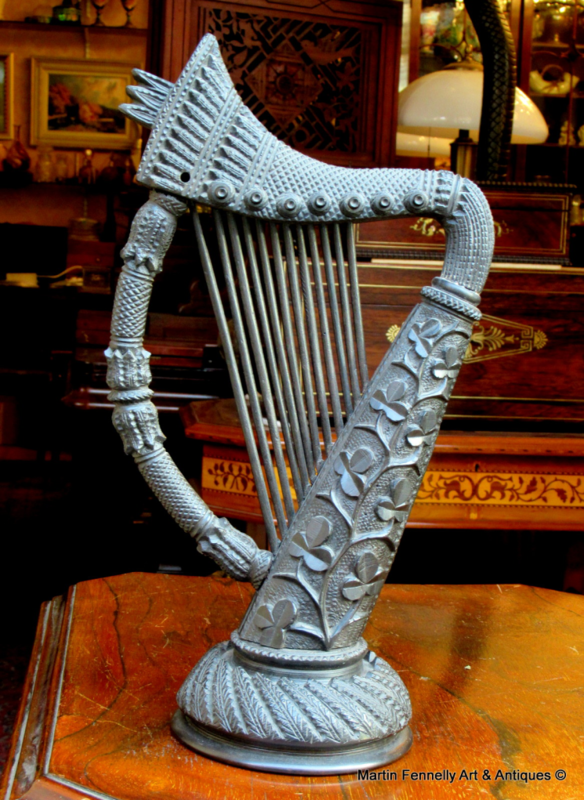 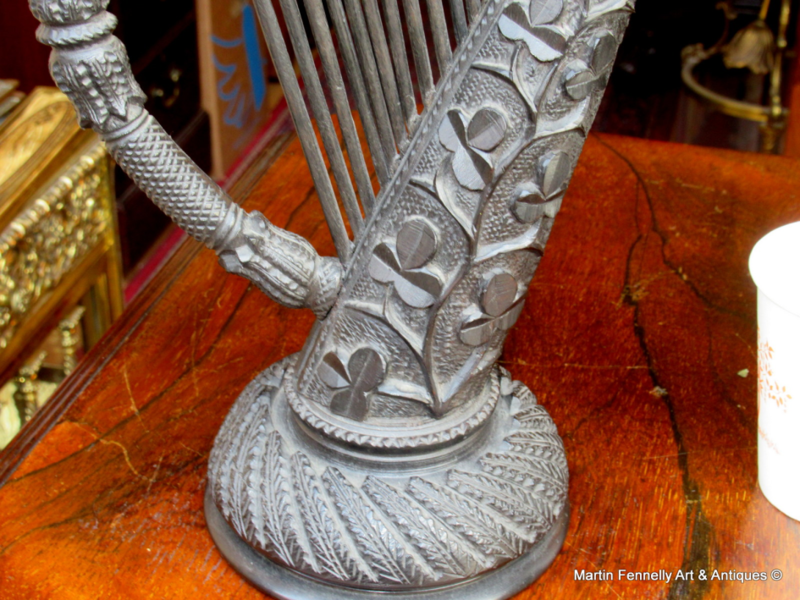 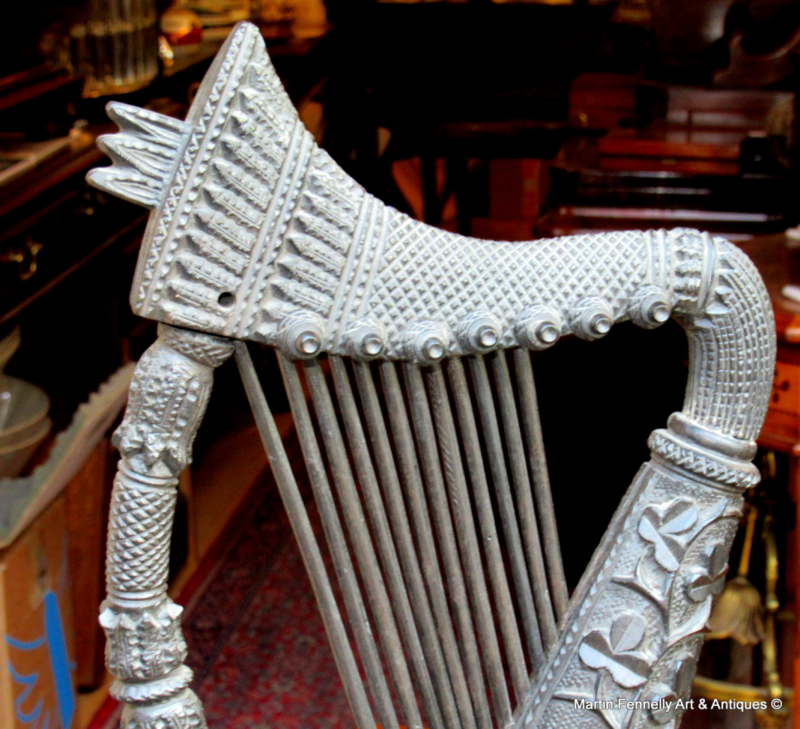 Superb Irish Bog Oak Hand Carved Ornamental Harp of Large proportions, nicely carved with trailing shamrocks ending on a circular carved base, late Nineteenth Century. This is a Rare piece of Irish History and recent Auction sales of this Size and quality are above 2500 Euro. The Patina is rich and the Harp is Heavy.